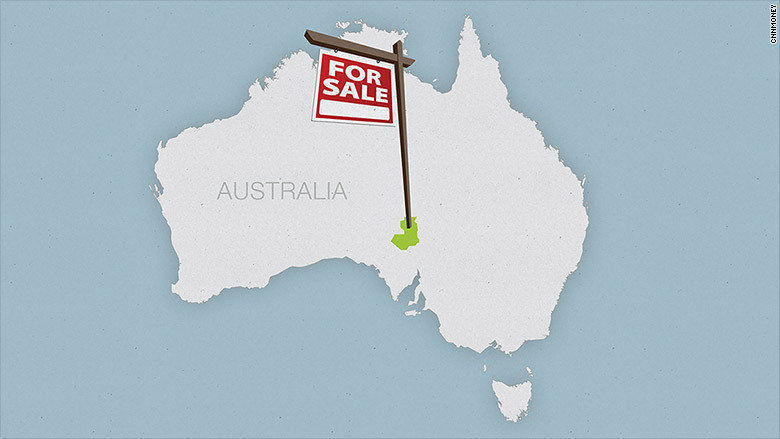 A piece of land the size of New Jersey is up for sale in Australia. 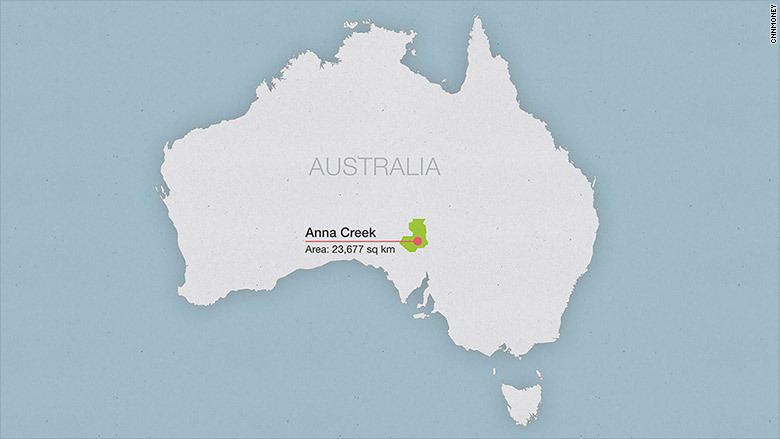 At a sprawling 23,000 square kilometers (14,000 square miles), the Anna Creek Station in South Australia is the world's biggest cattle ranch. It's being offered as part of a portfolio of Australian properties which includes 11 cattle stations and a bull breeding stud farm. But it doesn't score many points for location. The collection of farming assets stretch across more than 100,000 square kilometers of Australia's vast interior. To inspect the full sweep of properties on the block by air would take about a week. Buyers around the world have expressed interest in the sale which should fetch around $300 million Australian dollars ($232 million U.S. dollars). It's expected to wrap up by the end of the year. Ernst & Young's Adelaide managing partner Don Manifold is handling the deal, and has more than 30 serious buyers on his books, including parties from North America, Europe and Asia. Foreign ownership, particularly Chinese, of agricultural land is a contentious topic in Australia. To combat rising unease with the level of foreign investment in farm land, the country raised the threshold on purchases subject to government review earlier this year. Australia is world's third largest beef exporter behind India and Brazil, and ahead of the U.S. Its export strength is helped by a number of free trade agreements with beef-eating countries and the reputation of its meat as safe. Manifold said the Anna Creek ranch offers a chance to become "one of the world's foremost beef producers" as Asia's growing middle class spurs demand for red meat.